If every resident of the Palisades donated just $10 and one volunteer hour, we wouldn’t need to fundraise nor worry about manpower,” said Daphne Gronich, who is completing her third year as president of the Palisades Americanism Parade Association (PAPA). Gronich, who previously served as PAPA treasurer, has spent countless hours securing permits and insurance, helping with organization and fundraising, directing volunteers, even storing the parade marching banners in her garage. “Even after all the public appeals, news articles and conversations, people still take the day for granted,” said Gronich, who oversees a dedicated 20-person PAPA committee. Born in New York, Gronich was raised in Europe after her father, Army Lieutenant Colonel S. Frederick, served during World War II. When it ended, he researched German documents for evidence of war crimes, which led to the “Hill Project” investigations conducted by the United States, United Kingdom and Canada. Gronich graduated from the American School of Paris with a degree in international affairs, earned a juris doctorate from Hofstra University School of Law in New York, and later a master of laws degree from New York University. She worked at an intellectual property firm in New York before moving to Los Angeles and eventually becoming the head of intellectual property at Fox Group. Gronich took a year off when her son, Eli, was born 13 years ago and then worked as general counsel for toy company MGA Entertainment. She left the company in 2007 to care for her mother. While Eli was at Palisades Elementary, Gronich co-chaired the booster club and was on the charter school’s governing council. Now at Revere, she serves on the PRIDE booster club and is the parent representative on the Charter Council. Gronich is also president of the Palisades Charter Schools Foundation, an organization that works to unite and support the five public schools in the Palisades (as well as Palisades Complex members Topanga Elementary and Kenter Canyon Elementary). 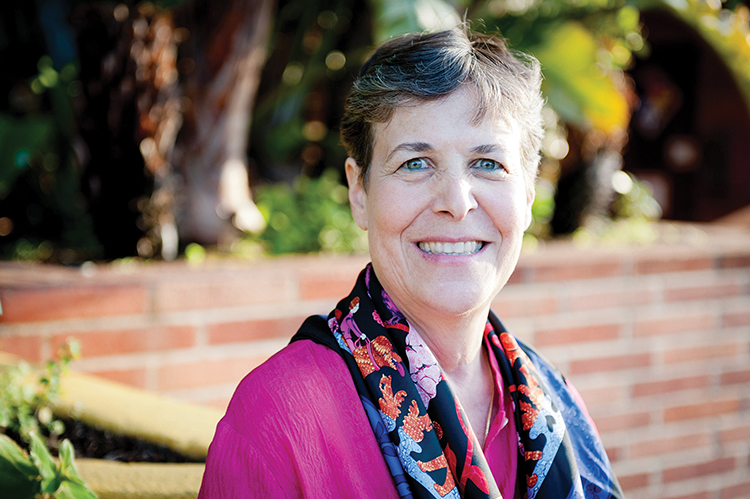 Gronich and her husband, Paul Nagle— a longtime television executive and faculty member in the UCLA Department of Film, Television and Digital Media—moved to the Palisades in 1997. What’s the best part of being the PAPA president? “Getting to meet and work with so many icons of our community,” said Gronich, adding that her biggest struggle is “to get people to donate money to fund the festivities or to take an hour or two out of personal time to help the small group of people who make it happen.